After buying grapes to make his wine for many years, Gary Quilici planted his first vineyards on the ten acre estate in 1998. 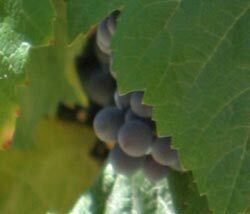 The vineyard consists of Cabernet Sauvignon, Syrah, Zinfandel, Sangiovese and Barbera grapes. None of the Quilici Vineyard wines are fined or filtered. The winery is particularly proud of its Sangiovese, which is light in body with great fruit and some lovely smokiness from oak aging.